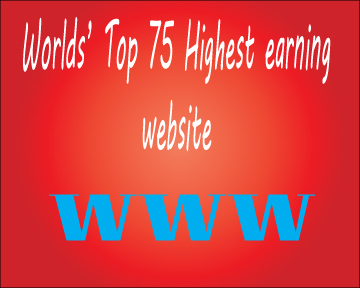 Earning from our website is not an easy task because we have to be patient, confident, competent, struggle etc. Success will never come like a fortune but you have to work hard and go steady. So if you intent to be an online entrepreneur launch your website/blog today. Below list are shown in Page Rank order. Thank you very much....your list are in full details. Very informative and useful...I think that no one can do research with such a complete website.